Falling Into The Social Media Trap is Far too Easy, and it can take about from your Real Estate Investing Business. At Tax Lien Certificate School, we are committed to bring you the best training out there, when it comes to earning 18-24% returns on your investments, or buying property for just the back taxes owed. Grab our free gift that will outline, and give the solution to the 3 Biggest mistakes that new investors make, and what you can do to avoid them, so you don’t loose all your money on your first couple of deals! rab our free gift that will outline, and give the solution to the 3 Biggest mistakes that new investors make, and what you can do to avoid them, so you don’t loose all your money on your first couple of deals! 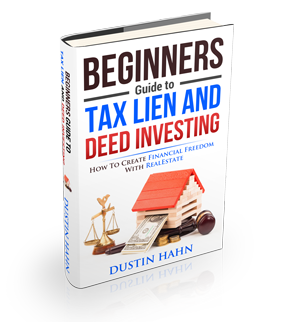 Subscribe for more great videos, and to keep up to date on all the hottest Tax Lien & Deed investing strategies!